Gintama is possibly one of the well-received anime of all time. Not only does it give its audience so much comedy, it also parodies a lot of different anime titles – both new and old ones. However, because of this, many other people who have not really watched Gintama think that this anime is purely full of gags and parodies. Parodies aside, Gintama has an impressive plot as well as remarkable character development – each of which has enthralling backstories of their own. Therefore, if you are still having second thoughts with Gintama, these 7 badass reasons should get your interest up. The main story of Gintama is set in Japan’s Edo period. Though this time period should be full of samurai’s, Gintama’s plot setting depicts it to be completely taken over by what is known as Amanto or aliens. These aliens believe that humans, particularly samurai, belong to some lowly race of beings. That said, they still acknowledge the innate potential that they have in battle. Because of this, sword usage has been wholly banned to prevent possible rebellions. The only ones allowed to bear swords would be the police. The story centers around Sakata Gintoki and his comrades Kagura and Shimura Shinpachi. Gintoki is not like most protagonists who are diligent, passionate, and heroic. Gintoki is more of the opposite. He is a very lazy and no-good person who runs an odd job business named Yorozuya. He and his crew would do any kind of job so long as he gets payment for the task. With this setting all laid out, you might be thinking, “Nah~! Nothing different from the usual ‘save the world’ kind of anime protagonist” Sorry to burst that bubble, but our protagonist does not have that in mind. Gintoki should be taken simply. No, his story does not revolve about thinking of plots to drive away or eliminate the Amanto. He is just your lazy assed guy who likes to play poker games as well as eat his sweets the entire day. Saving his country from the Amanto is something that has not crossed his mind. He even out-and-out declines training to toughen up. So, you see, he is not your usual kind of hero protagonist. The reason behind this is because of his back-story. He once served in a war where he lost so much leading him to losing his reason to live a meaningful life. The story then flows to him finding better causes to live his life as well as waking up the sleeping hatred he has deeply kept for the Amanto as well as the government supporting the latter. This mysterious past will be one of the things that will glue your attention to Gintama. Gintama’s Original Sound Tracks or OSTs are excellent, to say the least. Each of them plays to trigger the appropriate mood yet still complimenting the comedic scenes and humor that Gintama has. This works with both the Opening and Ending OSTs as well. Honestly speaking though, there are few fight scene sound tracks that are not fitting, but most serve well. The ones for the dramatic scenes are spot on though. Works every time, I must say. Animation style has been improving circa the time that anime first popularized. However, Gintama’s animation comes to be quite nostalgic especially for long-time anime watchers – by long time, I meant the older generations. LOL! The animation style is a bit like of the classic ones so newer anime watchers may see this as something off putting. If you are one of those who are not impressed with Gintama’s anime style, just watch it for a few more episodes, the animation will grow into you eventually. Kagura is a female character belonging from an unbelievably strong clan. She is also the anime’s female lead. Katsura is another character who has an obsession of correcting people who mispronounce his name. Viewers will often find him to displaying comedic fits and blurting out adorable and “witty” catchwords. Shimura Shinpachi is a glasses-wearing lead character. Though that said, his glasses are the ones mostly noticed first by the others – even if he is not using them. These are just three of the many characters, of course, but most of them have their own interesting stories to tell as well as have their own unique quirks that make them adorable altogether. Gintama’s mangaka, Sorachi Hideaki, also made sure to give separate episodes for the side characters. Character development for most of the characters is carefully and exquisitely done by the mangaka. Gintama is filled with parodies, which is an element that many fans really like about this anime. Gintama parodies many other anime and manga titles as well as characters both real life and anime / manga ones. Most are made in sidesplitting ways while others even come out clever at times. Some of the anime titles that Gintama parodied include Bleach, One Piece, Dragon Ball Z, Naruto, and Super Mario to name a few. You can expect endless laughter just from the parodies. One of the main reasons why Gintama is veered away by many is due to the fact that they think it is lacking in drama and seriousness, but actually, that is not entirely true. Gintama is not all gags and comedy, it also has some serious drama that everyone can dig into. Without revealing too much, Gintama can make you cry as if fresh onions were dropped right in front of you while you watch it. The serious backstories are also notable to watch out for. 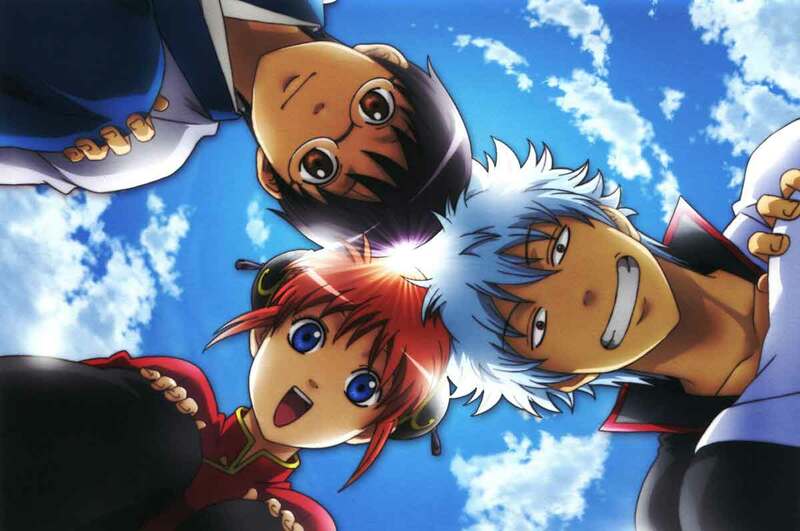 If you are looking for an ounce of laughter and drama all rolled into one, then Gintama is one to watch. Give it a try and you will find yourself hooked. Gintama originally started running in 2006 and still ongoing with the latest episode at 341 as of writing. It also currently has 4 anime films already out.